Police have recaptured a Birmingham man who escaped from prison guards while receiving hospital treatment. 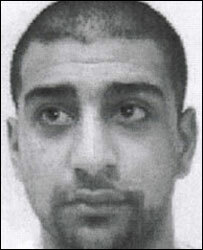 Omar Aslam, 21, a prisoner from HMP Ashwell, Rutland, escaped from the Leicester Royal Infirmary on April 23. West Midlands Police recaptured him on Thursday in the Birmingham area. He has been handed over to the Prison Service. Leicestershire Police said Aslam, who has TB, was dangerous and infectious. He was serving seven-and-a-half years for grievous bodily harm. Aslam, from Aston, escaped from the hospital after overpowering a prison guard, and fled in peach-coloured pyjamas. A 19-year-old woman arrested in Birmingham on 27 April in connection with the incident, has been released on police bail pending further inquiries.